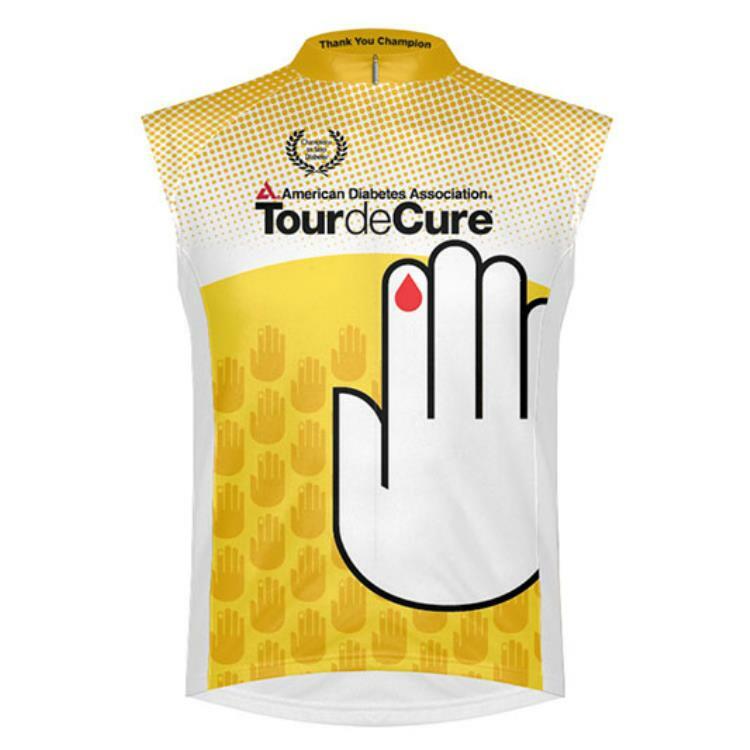 2014 Tour de Cure Champion Jersey from Primal Wear features women's specific sport cut sleeveless jersey with 3 rear pockets and 3/4 length YKK invisible zipper. 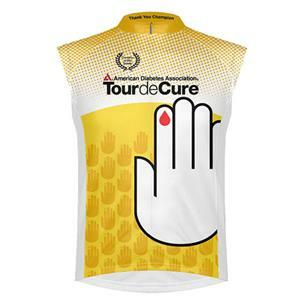 Custom-designed 2014 Tour de Cure Champion Jersey from Primal Wear. Women's specific sport cut sleeveless jersey featuring 3 rear pockets, 3/4 length YKK invisible zipper and Speedpro technical fabric. No elastic at waist.